Eating ranks right near the top of important matters for human beings. Breathing and drinking water are also important but surely we take these for granted. Yet, eating, while essential to life, is also one of our favorite activities. Dogen Zenji put great emphasis not only on the way food is prepared but also on the way it is eaten. This is reflected in the “Meal Verses” which we chant before eating at our one-day sittings, which we generally hold once a month at the Confluence Zen Center. The “Meal Verses” present a concise overview of the Buddhist teaching. Lately, I’ve written a couple of essays on the “Meal Verses” which are posted on our website. If you have the time, please take a look. Thanks to these and to all of our volunteers who give their time and effort to keep Confluence Zen Center STL running smoothly. A big Thank You to Shuri Sheryll Coulter, as she steps down as President of the CZC Board, for her dedication, expertise, and guidance. 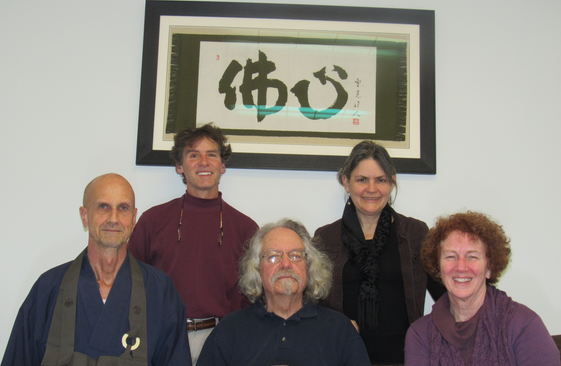 The newest member of Confluence Zen Center’s Board is Jeffrey Maret. 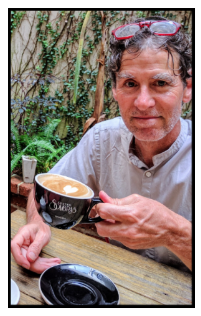 Jeffrey is a cultural anthropologist currently teaching at several universities in the St. Louis area. He resided in the western suburbs of Tokyo for 18 years. While in Japan he taught at Waseda University and conducted research focused on Japanese public education, children with special needs, citizens movements and the cultural psychology of self. Beginner’s night at Confluence Zen Center from 6:30 pm till 7:45 pm.